Update (9 Aug 2015): This promotion has now ended. Thank you all for the interest and stay tuned/subscribe for more updates, reviews and offers! 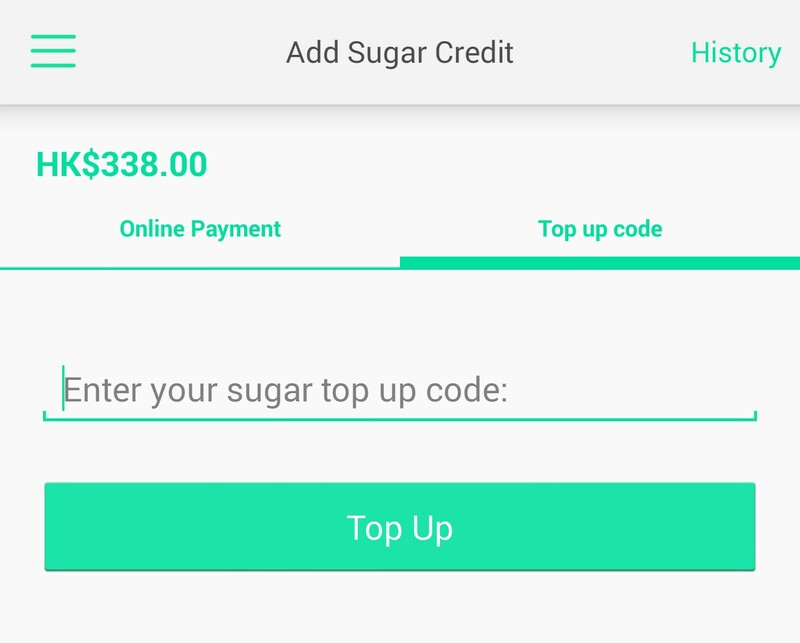 I’ve been trying out a mobile app called Sugar for a few months now and it’s been a great tool for generating ideas on what and where new to eat. If you haven’t started using it already, now is the best time to do so as they are running a series of promotions, where any new user can get HK$450 of free credit (no strings attached, a limited time offer!). You can freely spend it on items at a wide range of restaurants and cafes. Plus, on the app, the food or drinks are redeemed at a discounted price so there really is nothing to lose! How do I get HK$450? You will receive a top up code via SMS – enter the code here! 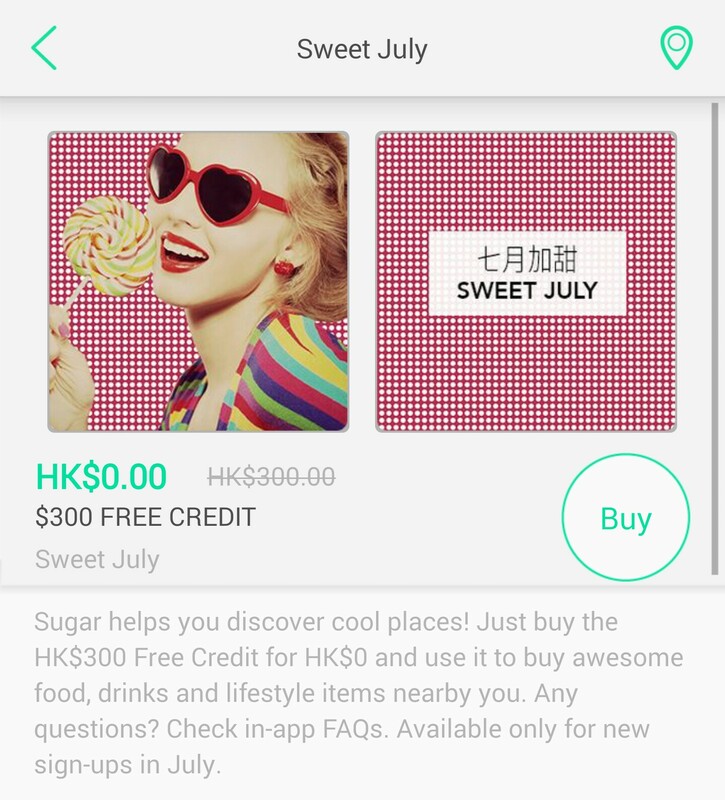 “Buy” the Sweet July promotion for HK$0 to get HK$300 in free credit. You will also receive a top up code via SMS.